Citroën is taking some inspiration from the famous Parisian style with two new, chic concepts based on the DS3 (above) and DS3 Cabrio (right) with input from the fashion house Ines de La Fressange Paris. There aren't any actual mechanical tweaks to them; they just show what the cars could look like with a dash of haute couture. 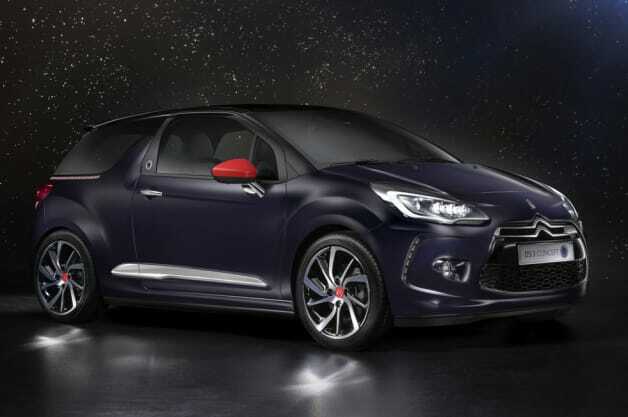 The DS3 hatchback gets a spray of Ink Blue, satin-finish paint with a slightly contrasting Onyx Black roof, and its Cabrio sibling wears gloss Perla Nera Black body with an Infinite Blue softop roof. Other than the colors, they share a ton of other features with Ines Red mirror caps, 17-inch wheels, an Ines de la Fressange Paris emblem on the center pillar and a subtle Aéropostale red, white and blue trim strip wrapping around the back. They're both handsome vehicles, but it's hard to understand why some extra paint and trim make them concepts. Inside, the two of them are identical, and their blue, white and red color scheme echoes the French flag. Compared to the relatively subtle exteriors, the dashboard is covered in eye-piercing Ines Red with the company's emblem. The seats are covered in Granite Blue leather with white stitching to get all of the colors in there. The Aéropostale trim strip also gets used again on the seats. 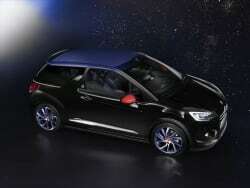 Citroen and Ines de La Fressange Paris show off two new concepts originally appeared on Autoblog on Wed, 17 Sep 2014 09:31:00 EST. Please see our terms for use of feeds.